On this web-site participants can book and make payments for hotel accommodation, visa support, excursions and other additional services. Congress complex is located in the historic district of the city of Pushkin in the former cottages of Vasily Petrovich Kochubey - a master of ceremonies at the Imperial Court of Tsar Nicholas II. Kochubey mansion, which is currently the main building of the hotel complex, is well known in St. Petersburg for its architecture and well-preserved original historic halls, authentic and home furnishings. The mansion, with it's main entrance, magnificent facades, interiors and luxurious historical layout, could be called a palace in miniature. 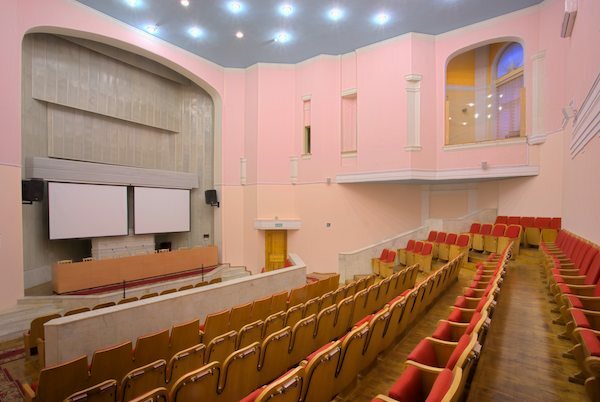 Conference halls with their palace architecture and interior of the beginning of the XIX century have the unique atmosphere. We kindly invite you and your colleagues to participate in the Conference in St Petersburg, Pushkin!